Business transformation is becoming a hot topic for organizations as the world becomes an increasingly complex place to do business. In order to remain competitive and dominate their segments, businesses must be able to pull-off rapid systemic changes as well as a multitude of more minor adjustments. Regardless of the scale, all of these changes require a degree of organizational agility. The concept of business transformation stands at the intersection of change management, effective influence and the ability to make tough decisions. As we look to develop organizational resources it must be through the lens of these concepts. Harvard Business Publishing’s 2013 survey of global professionals cited driving business transformation as the most significant goal of leadership development according to talent development professionals surveyed. But how do we prepare our organizations’ leadership to be able to address increasingly dynamic market places? The first step in this process is to rethink who we are investing in. Historically organizations have put dollars and resource into key talent development. Effective business transformation requires rapid organizational adoption in order to work and preparing only a handful of highly talented individuals is no longer sufficient. Instead organizations should look further down their organizational charts and go straight to the point of implementation. 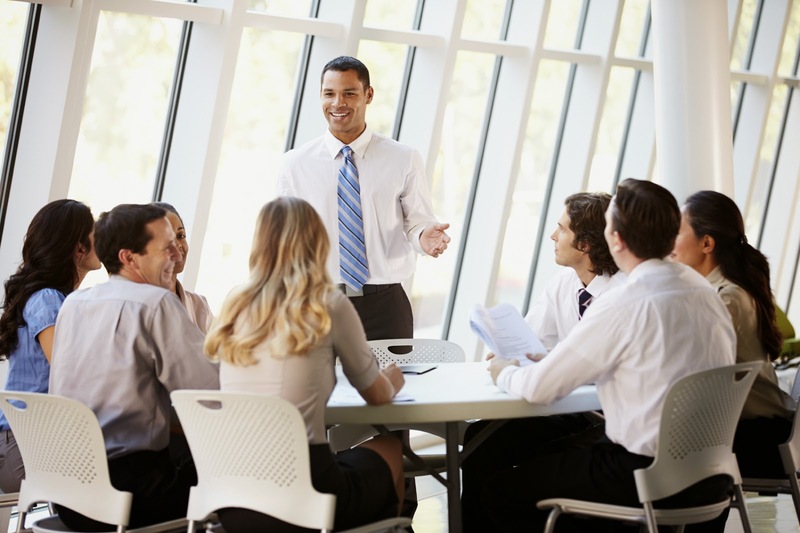 Investing in ongoing leadership training of middle management helps equip those managers to be more effective at rapid implementation of business transformation initiatives and ultimately equips them to be better advocates for workplace innovation. According to Stephen G. Hasty, a KPMG partner and U.S. Innovation Leader for Advisory more than half of companies undertaking transformation fail to achieve the desired business result. We can think about traditional business transformation processes as a reverse bullwhip effect with one arm shaking wildly at the handle with the momentum slowing along the whip’s length until we reach relatively static tip. By investing in leadership development for middle management, organizations can effectively “choke up” on the handle and increase the effect of their efforts. The second step of the process is to determine the content of our leadership development programs but first we must clearly identify the objectives. It is a safe bet that many C-Suite executives are including driving business transformation in the top of their lists for 2014 and beyond. But what are the qualities that define a successful business transformation leader? 1. Change Management - Transformation by definition involves change. Middle managers who have had the opportunity to candidly assess their change management styles and preferences are better equipped to communicate and implement change initiatives to their direct reports and peers. 2. Decision Making - Business transformation requires effective leaders to make tough decisions often outside of their comfort zones. Middle managers as individuals have natural preferences for how they make decisions which today’s dynamic workplace doesn’t often oblige. Developing managers to be able make good decisions with limited information helps increase the velocity of business transformation. 3. Effective Influence - Business transformation success hinges on organizational adoption. Unless there is buy-in even great ideas can wither on the vine. Middle managers with awareness of their natural influencing styles and an understanding of how to adapt them to their audience are more effective at getting desired results. Leadership development programs should focus content on these three attributes. Also by increasing the amount and frequency of leadership development programs targeted to middle managers organizations will be poised to drive business transformation by establishing these skills as intrinsic components of their organization’s culture.